Haunts my soul for evermore." Saturday, April 26. 1986, at 1:23:40 a.m. the Reactor No. 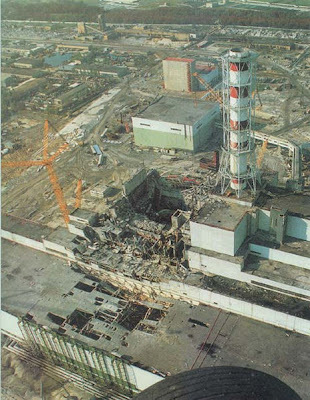 4 at the Wladimir Iljitsch Lenin Atomic Power Station near the city of Chernobyl in modern Ukraine experienced a minor accident - the reactor exploded and parts of the nuclear fuel were hurled into the atmosphere contaminating with radioactive particles the surrounding landscape. Fig.1. Chernobyl Disaster Aftermath after Wikipedia. In the early hours fire-fighters, doctors and nurses rushed to the plant not aware of the danger of radioactive contamination. Realizing the extant of the catastrophe in the next days more than 16.000 policemen and military personnel where sent to the power plant to extinguish the fire, remove the radioactive debris and enclose the ruin in a provisory protection shell, these people are remembered today with the laconic term "likvidatory". Confirmed 31 people died from radiation sickness in the first days, later estimated numbers range between some thousands sickened people in the following years, the long term effects on the Sunday afternoon evacuated 100.000 people is still poorly understand, however an increase of various cancer varieties is blamed on the radioactivity. 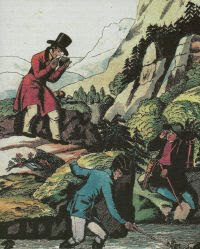 The effects on the fauna and flora inside the evacuated region became an investigation field for geneticists, ecologists, botanists and zoologists. Even regions thousands of kilometres distant von Chernobyl are still today contaminated with radioactive particles and elements transported by the wind in a gigantic plume above Europe.